September 9, 2015, Queens, NY Serena Williams defeated Venus Williams in the quarterfinals of the U.S. Open last night 6-2, 1-6, 6-3, in a match that was too painful to watch for parents Richard and Oracene. However, there were no losers last night, just winners. Serena won and so did Venus. They are the ultimate Sister Act. Serena will face Roberta Vinci from Italy who wasn’t expected to get this far. That doesn’t mean this match is a glorified walkover for Serena because anyone who makes it to the semi-finals of a Grand Slam event is playing tennis at a high level. But it’s a relatively safe assumption that Serena will make it to the Finals which positions her to complete the calendar Grand Slam and claim her 22nd Grand Slam title. The accomplishment will tie her with tennis great Steffi Graf on two counts; Graf won 22 Grand Slam titles, and she was the last woman to complete the calendar Grand Slam (back in 1988). On the other side of the draw, the potential opponents for Serena are Simona Halep, Petra Kvitova, Victoria Azarenka, and Flavia Pennetta, no soft touches. It won’t be easy, but Serena seems as poised as ever to capture a Grand Slam title. She is playing at a very high level, and her determination appears to be at an all-time high. The longevity of the Williams sisters is the real story. Tennis contemporaries like Martina Hingis, (who was a former number one player, is playing women’s doubles), and Lindsey Davenport is coaching. This is not a slight on these two great tennis players; it just illustrates how after more than a decade and a half, the Williams sisters are still performing at an elite level. Oracene Price continues to be the steady nurturer whose guidance and support has kept her daughters on the straight and narrow path. Venus just completed her business degree and plans to get her M.B.A. Serena has done well in the world of fashion. 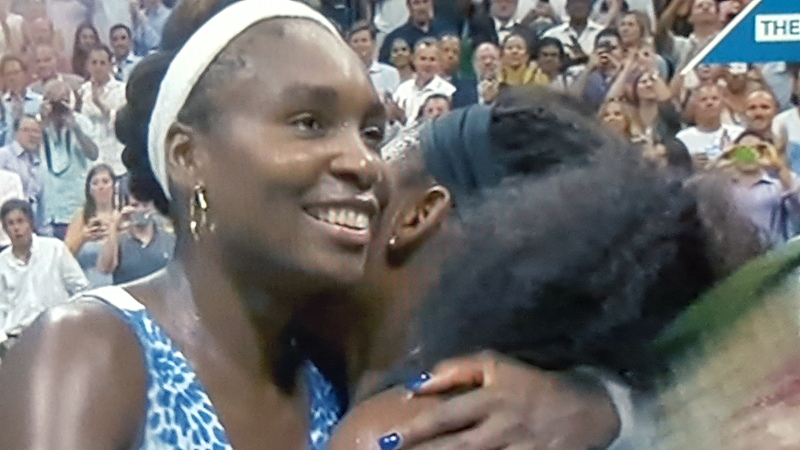 Venus and Serena, the greatest Sister Act in sports history, continues. We are all witnesses. Next Story → WHO IS “COURTING” SERENA WILLIAMS NOW?